As an airfoil moves through the atmosphere, the pressure distribution surrounding the airfoil produces force. This is known as ‘Aerodynamic force’. The resultant force caused by the pressure distribution is represented in terms of magnitude and direction. 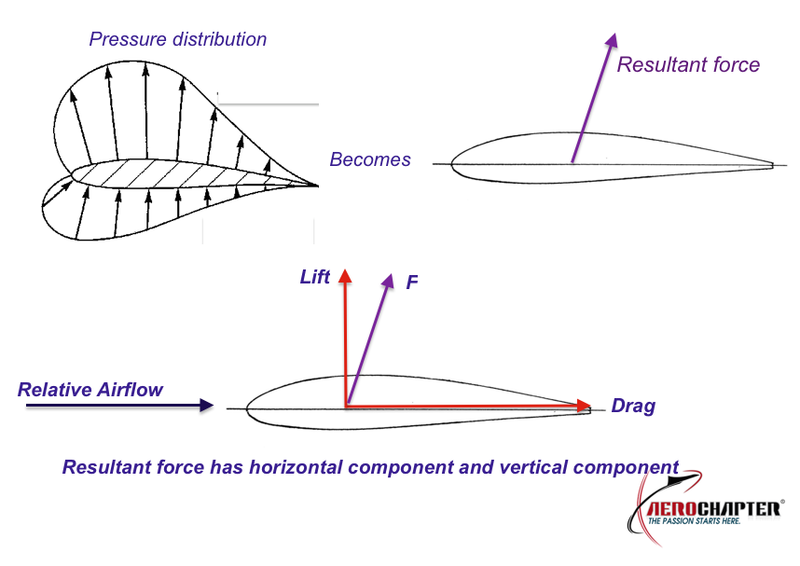 The line of action of the resultant force determines the center of pressure of an airfoil from which LIFT force acts.